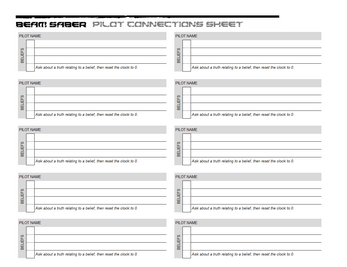 Beam Saber is a game about the pilots of powerful machines in a war that dominates every facet of life. They are trying to do their time and part, and get out physically and mentally intact. The organizations that perpetuate The War through all of known space are too incomprehensibly huge to take down. There is no “winning” The War, there is only surviving it. Hopefully you can help others get out too. This game is best played with 4 or 5 players, with one player filling the role of Game Master, and the other players will be the protagonists of the story. If you'd like to see Beam Saber in play check out my ongoing campaign: The Cenotaph. 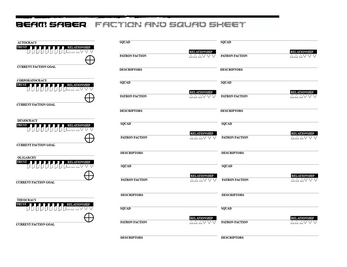 The Beam Saber Quick Start Guide is also available if you want to see, or try, a sample of the rules before buying. Engage challenges on a titanic scale! Each pilot has a custom vehicle created from the ground up to suit their desires. The base frame can be humanoid, a more traditional vehicle, or something completely bizarre! They can be equipped with holo-projectors, grapnel anchor tools, missiles, and much more. Take advantage of your vehicle's Quirks (such as Loads of Guns, Exposed Boosters, and Ominous) to more effectively overcome obstacles. Or lean into your machine's faults for XP! Bombard, Scan, Maneuver, and more to deal with threats. 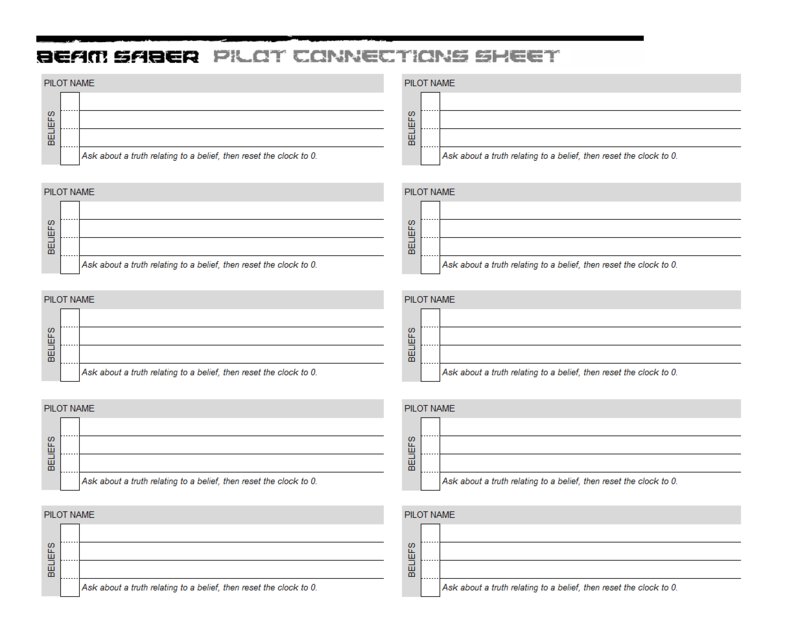 There are several pilot types players can choose from, each facing The War in a unique way, and all have a powerful vehicle to command. Envoys are diplomats and spies. Scouts are pathfinders and snipers. Technicians are chemists, mechanics, and biologists. The pilots are part of a squad, which is created through a consensus by all the players. 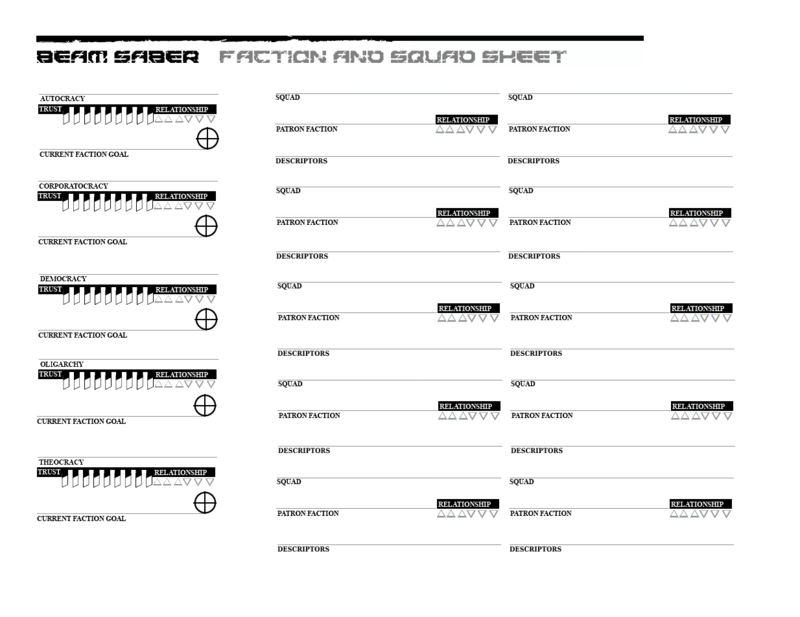 Just like a pilot, the squad gets a “character sheet”. The Consulate spies and politicks. The Frontlines grind the enemy to dust. The Logistics deliver the goods. The Mechanized Cavalry strikes fast and hard. The Profiteers sell what people can’t get. The Recon are spies, thieves, and sneaks. The R&D advance The War’s technology.